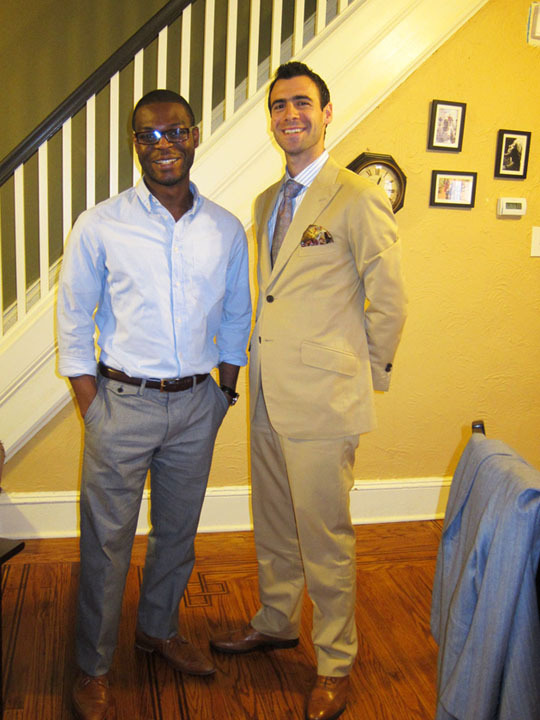 Last week, Philadelphia clothier for A&B, Berel Rapoport met up with local resident and obvious clothes horse, Wale O. He is the author of “Less.Gentlemen.Of.Meager.Means”, a blog about life, style, and the pursuit of happiness. Mr. O blogged about his recent meeting with Berel and his A&B experience. You can read his post at http://lessgentlemen.com/2010/05/14/look-less-gentle-an-afternoon-with-astor-black/. Also noteworthy, Wale is in the prestigious Top 25 Semi-finalists for Esquire’s “Best Dressed Real Man” Award. You can view his profile here http://esquirebdrm.com/profiles/5935. Best of luck to you Mr. O and we look forward to our next meeting with you!